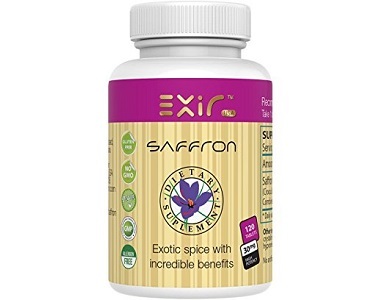 Our review today is a product called Exir Saffron. It is a dietary supplement made to soothe the nervous and the cardiovascular system. Its purpose is to improve brain chemistry and enhance your mood. The manufacturer claims that the product will help to improve your vision and will protect your prostate glands. The product is suitable for vegans and is gluten-free. The main ingredient is the Saffron Extract. The herb will assist in weight loss and also aid in boosting your moods if you are suffering from depression. Saffron Extract is made up of Crocus Sativus, L-Stigma Powder and extract. 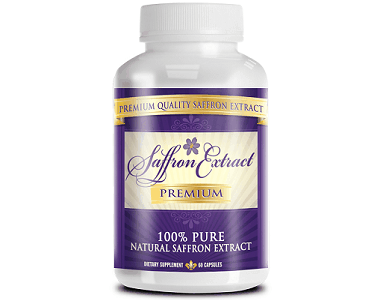 The inactive ingredients that accompany the Saffron Extract are Calcium Carbonate, Crystalline Cellulose, Vegetable Stearin, Hypromellose, Magnesium Stearate and Croscarmellose. How Do You Use Exir Saffron? You should definitely consult your health professional before consuming the product. The recommended dosage by the manufacturer is 1 tablet to be taken 2 to 3 times a day. Unfortunately, nothing has been advised about taking the tablets with or without food and also prior or after meals. The daily doses should be taken 2 hours apart from each other. The product is packed with 120 capsules and may be purchased from the manufacturer’s website or Amazon. If you purchase from Amazon, the cost is $40 and shipping is a further $2.35. The terrible news we have to report about the product is that it does not come with any guarantee. We have searched on the manufacturer’s site and Amazon, but the product will be purchased at your own risk. It is hard to understand why the manufacturer has decided not to offer any guarantee with the product. Afterall, if you are certain that the product will achieve the results that you are advertising, it is common sense to offer a guarantee. People will have to gamble their hard earned money to discern if the product works without any possibility of a refund. 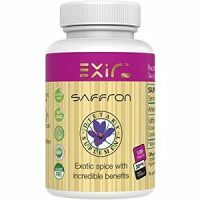 Exir Saffron has formulated this product with the intention of helping people to lose weight as well as to soothe their nervous and cardiovascular system. The statement made by the manufacturer is that the product may possibly also assist in improving your vision and will protect your prostate glands. The consumption of the product is also an inconvenient process as the recommended dosage is 3 times a day. If you are at work, you have to step out to take a dose. The absence of a guarantee on the product is by far its biggest flaw. People will try out a new product, which they do not have confidence until it shows results, and if it does not yield the desired results they are stuck with it. If you offer a product and promise people that it can do certain things and you are confident in the results, why do you not offer a guarantee with the product? Purchasing the product involves unnecessary risk.